The People’s Resource Center (PRC) recently held a ribbon-cutting event at their new location, 104 Chestnut Dr. in Westmont. 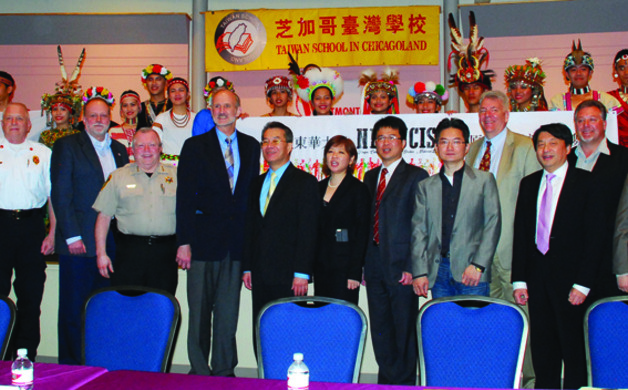 PRC recently moved to their new location out of necessity due to the growth of their operations. PRC offers resources and assistance to people in need who live in DuPage County. Some of PRC’s programs include: Food Pantry, Emergency Rent and Mortgage Assistance, Clothes Closet, Financial Assistance, and Social Services. PRC promotes the goal of creating pathways to self-sufficiency through Job Assistance, Computer Training, Adult Learning and Literacy, and more. For more information regarding PRC, visit their website at peoplesrc.org or call 630-682-5402. To celebrate Taiwanese American Heritage Week, the Taiwanese dance troupe of the College of Indigenous Studies at National Dong Hwa University visited and performed in Westmont on May 6. Their performance in Westmont was part of their tour of North America. “This is very exciting for everyone involved, especially the dancers who have worked so hard to prepare for this tour,” says Angela Yang, President of Taiwanese American Heritage Week Committee. 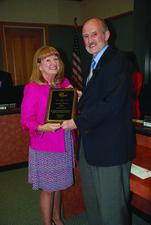 Mayor Ron Gunter adds, “The performance was spectacular. We look forward to having them come back to Westmont soon.” Photos from the event are posted in the photo gallery on the Village website at westmont.illinois.gov. 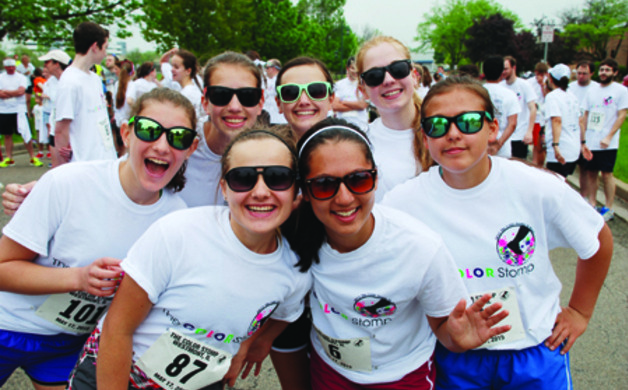 Congratulations to Westmont High School Junior Heather Blaney and CUSD201 Staff Michelle Torisse (pictured below, top-right) for their successful new event The Color Stomp 5K. 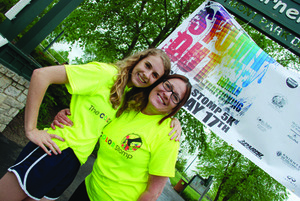 The Color Stomp was designed to promote awareness regarding the tragedy of human trafficking. 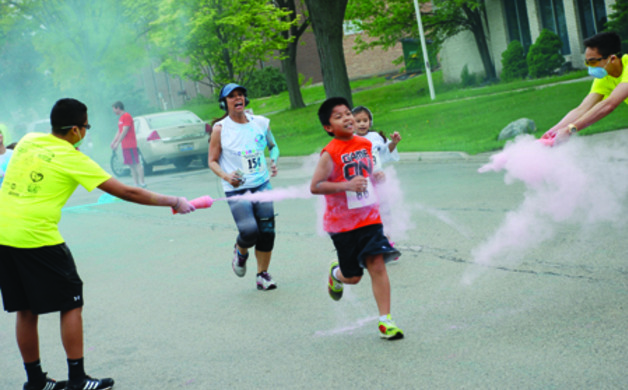 This unique race event was a “color” run in which the participants wear white shirts and as they follow the path of the course, their shirts get sprayed with color. Almost 300 people attended this first-time event. 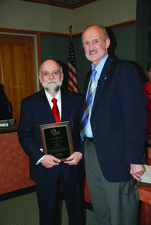 Photos from the event have been published in the photo gallery of the Village website. Thanks to everyone who helped make this event a success! This project has already begun with completion expected by August 2015. Other 2015 projects include: modification to the Jamestown Detention Basin this summer and fall; St. Joseph’s Creek Stabilization projects are underway and expected to be completed by the end of summer; Cumnor Road reconstruction is expected to start this summer and be completed by the end of the year; water main replacement at West End and Park St. is expected to start this summer and be completed this fall. There will also be additional street resurfacing projects this fall. For more information regarding Westmont Public Works construction projects, visit the Village website at westmont.illinois.gov or contact Public Works Engineering Operations Supervisor Noriel Noriega at 630-981-6295. In support of Arbor Day, Village Forester Jon Yeater and staff worked with students from Miller School to plant a tree and discuss the importance of trees in our ecology. 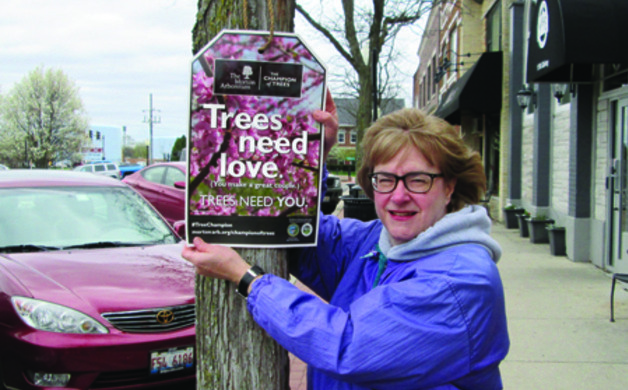 Also, Environmental Improvement Commission volunteer Mary Gabryel (pictured below) assisted staff with putting up signage regarding tree maintenance tips throughout the downtown. Summer is upon us, which means barbeques, hot weather, swimming, family gatherings, and holidays. The Westmont Fire and Police Departments hope everyone has a fun and SAFE summer by offering these safety tips. Position grills well away from houses and combustible structures. Keep children and pets away from grilling area by declaring a three-foot minimum safety zone around the grill. Never apply additional lighter fluid once the fire has been ignited. Place all charcoal grill ashes into a metal can. When igniting a propane grill, make sure the lid or cover is in the open position and always shut the tank off after each use. If a propane grill catches fire, do not attempt to extinguish it—CALL 9-1-1 especially if propane is burning freely—Propane will re-ignite with explosive force. Fireworks and sparklers account for thousands of injuries every year in the U.S. Fireworks should be left to the professionals, even sparklers, which may seem harmless. However, sparklers burn at nearly 2000 degrees and can cause serious injury. “Sky Lanterns” cause numerous brush and structure fires annually and should not be used. Never leave children or pets unattended in automobiles during summer months. The inside of an automobile can reach temperatures over 150 degrees. Every year, children and pets die as a result of heat stroke, from being left in a vehicle, unattended. Make sure valuables are never left in plain sight. Watch your speed when driving through neighborhoods—keep your eyes open for children playing or riding bikes. Exercise caution and awareness around pools and other bodies of water. Children should never be allowed to swim unattended. Always swim with another person in case of an emergency. Alcohol and pools are a dangerous combination. All solicitors should have a permit. If they don’t, call 9-1-1. Never let someone in your home if you don’t know them. Always report suspicious activity immediately. At a recent Village Board meeting, several Westmont Fire Dept. promotions were announced. “This is part of our on-going succession program in which we make sure we plan for the transition of leadership within the department,” says Westmont Fire Chief Dave Weiss. The following promotions were announced: Steven Riley promoted to Deputy Chief, James Fitzgerald promoted to Duty Chief, Arnie Nolan promoted to Captain, Darren Boyce promoted to Lieutenant, Eric Blaskovich promoted to Lieutenant, and Joe Newton promoted to Lieutenant. 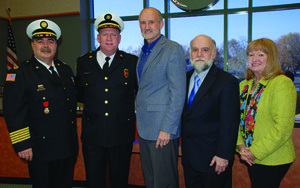 Village Manager Stephen May added, “We are confident that they will continue our tradition of excellent fire protection and EMS service in Westmont.” Photos from the ceremony can be found on the Village website photo gallery at westmont.illinois.gov. The Westmont Fire and Police Departments will once again host three sessions of their Kids Safety Preparedness Camp in 2015. The dates for this year are: June 16 & 17; July 16 & 17; and August 6 & 7. The two-day camps will be held from 9am to 3pm each day. The camp provides an opportunity for 8-, 9- and 10-year-old children to spend time with their local heroes and learn much more than just the usual safety lessons. Applicants must live or attend school within the Village of Westmont or participate in a Westmont-based Cub Scout or Brownie Troop. For more info, contact the Westmont Fire Department at chardy@westmont.il.gov or 630-981-6424. Working together……We can accomplish great things!